The FSANZ decision states, ï¿½No public health and safety concerns have been identified in relation to food derived from the potatoes developed by the Applicant.ï¿½ This statement is highly misleading and contravenes a ï¿½duty of careï¿½ to the consumer. FSANZ openly acknowledges it does not require feeding trials or genomics testing. ï¿½How can FSANZ give consumers an assurance of safety when they do not require any animal or human feeding studies? There is no evidence that the potatoes are safe to eat,ï¿½ said Claire Bleakley, president of GE-Free NZ. The FSANZ decision has dismissed submitters' concerns calling them ï¿½campaign targetingï¿½. The agency has rejected all requests for feeding trials to see if the foreign DNA causes harm. Submitters cannot challenge the agency's decision, because they have no jurisdiction to call for a review. Consumers are forced to accept that FSANZ can approve anything regardless of its dangers. These potatoes are aimed at fast food outlets and the frozen chip and crisps market. Any imports would include processed foods such as par-cooked frozen potato chips, crisps, flour, starch and alcohol. There is as yet no approval to grow GE potatoes in Australasia. 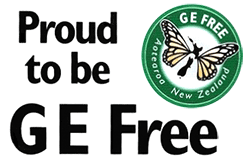 GE Free NZ asks all fast food outlets to ban the use of transgenic potatoes, as they are putting their customers at risk. There is no evidence that these GE potatoes are safe to eat.